It can be quite difficult to find really lovely, delicate jewellery when there is so much costume jewellery on the market. Finding an amazing gift for someone special can be time consuming, boring and pretty dull. You want to give this person something personal. Not Topshop prices but not diamond prices. Where do you go? "We know that buying 'off the shelf' doesn't always give you the exact sentiment or message you require. So we have made sure you can make your gift even more unique by creating your own personalised message to give your gift more meaning. 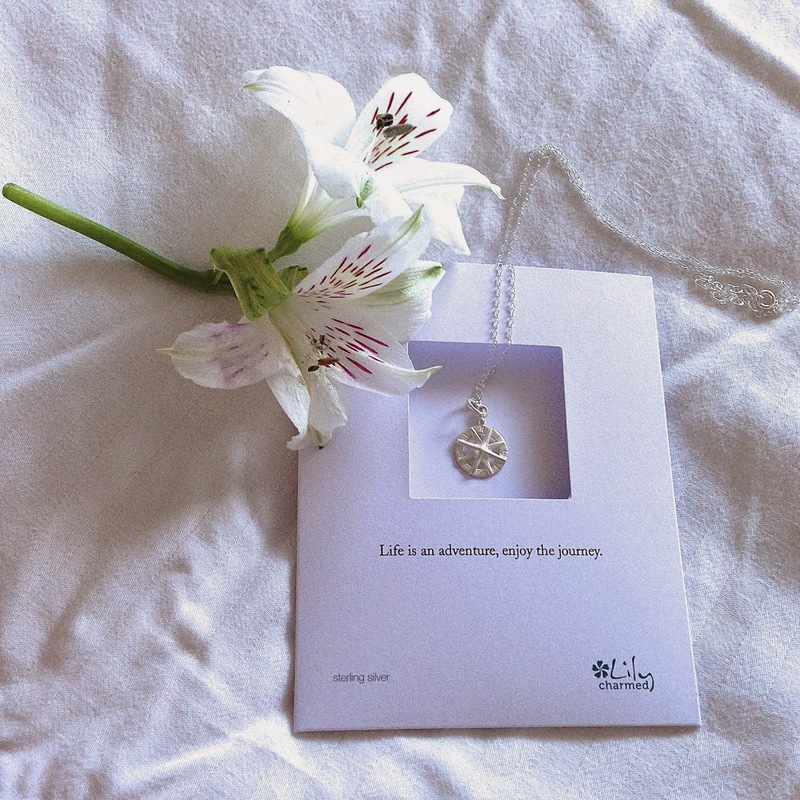 Lily are delicate and detailed and we are very proud of them. We hope you love them as much as we do." 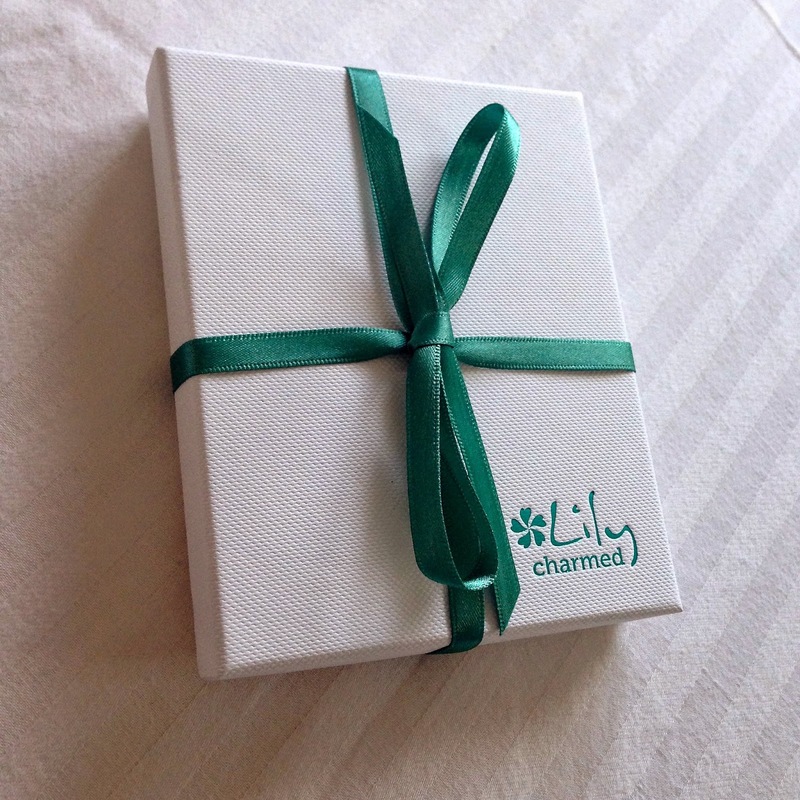 When Lily Charmed got in touch I was over the moon. As soon as I started scrolling through their website I just fell in love. Everything is so quirky and their designs are filled with personality, I was stuck for choice. 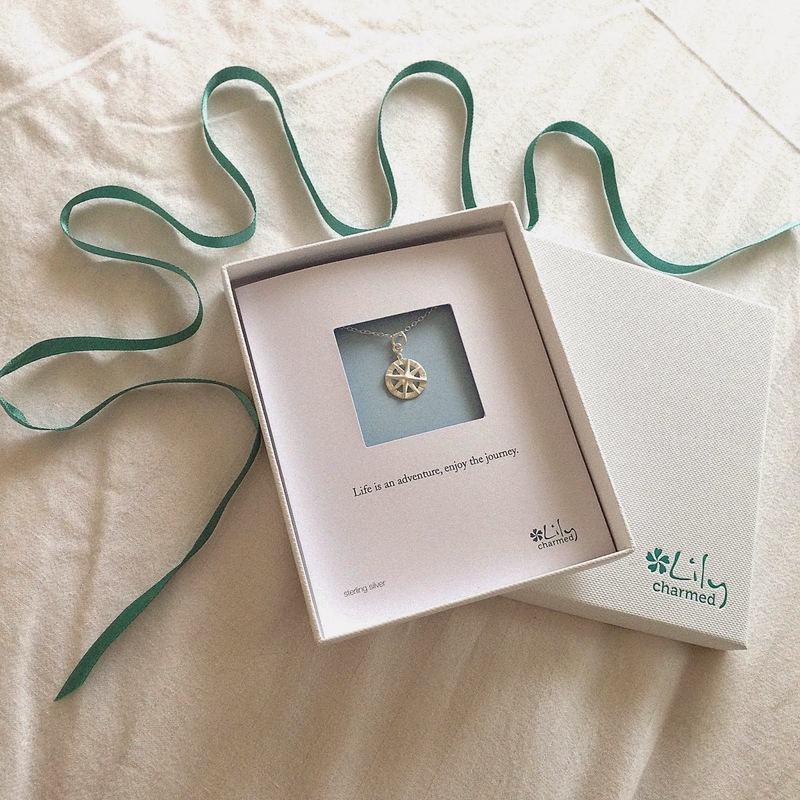 They offer gifts, charms, necklaces, bracelets, earrings and all can be personalised. I wanted something personal to reflect what stage I am at in my life and this compass is perfect. 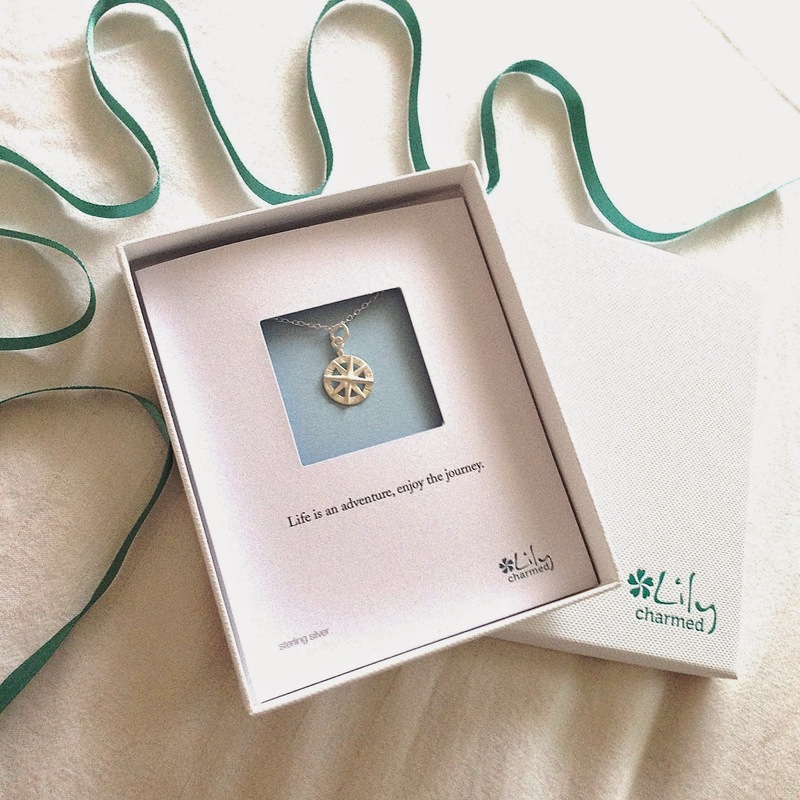 This charm necklace arrived in no time at all! When it arrived it came in this beautiful box. It already had went over and beyond my expectations! Especially anything that is in the shops at the moment. Opening up the box I found the charm sitting perfectly in the centre of this quote. "Life is an adventure, enjoy the journey." How accurate and so fitting. Who would have thought a necklace could be so personal and that's just for myself! One thing I noticed when browsing through their website was as every charm differed, I kept saying to myself "OMG my pal would love that" or "That is a perfect birthday present for so n so". It's the variety in charms that means there is a perfect piece for everyone. 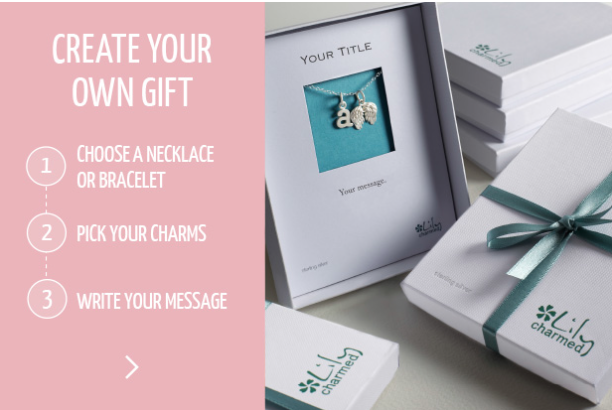 Another huge feature on their website is 'Create your own gift' which is awesome if you want to make it even more personal. I deffinatly know what I'm getting next "COCO" on a chain. I just have to!!? What would you get?